With over 15 years’ experience in IT, Udaya specializes in design and implementation of data networks, server administration, virtualisation, VOIP systems, IP surveillance systems, security firewalls and is competent with Windows, Apple Mac and Linux based computer systems for all home and business customers. 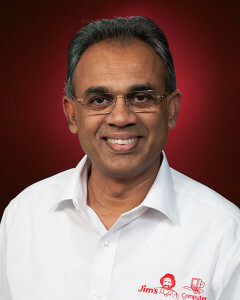 Udaya’s Professional Affiliations include being a Member of Australian Computer Society – Certified Technologist (MACS CT). Udaya is one of many technicians servicing areas of Keysborough, Noble Park, Dandenong and all surrounding areas of Melbourne Bayside, South Eastern Suburbs and CBD.